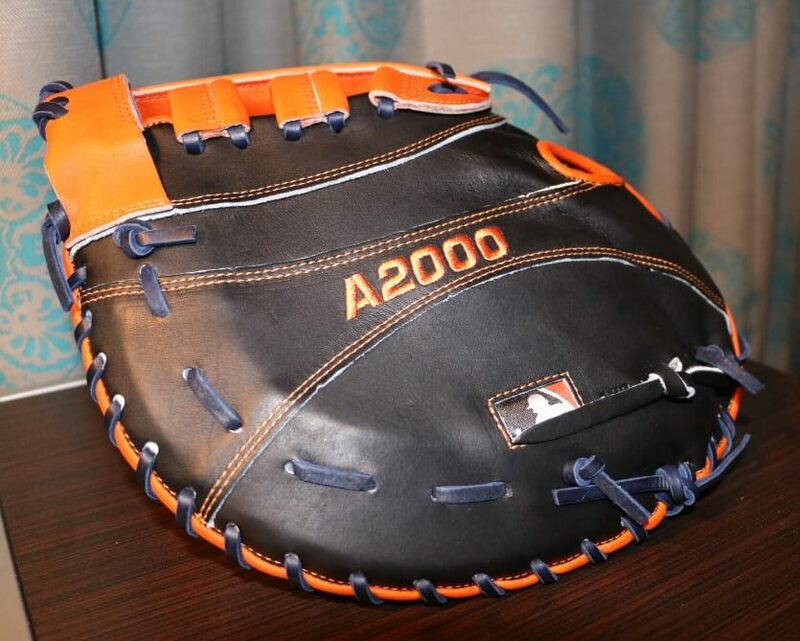 Miguel Cabrera’s Wilson A2000 MC24 Glove is a full custom job in Tigers’ colors. 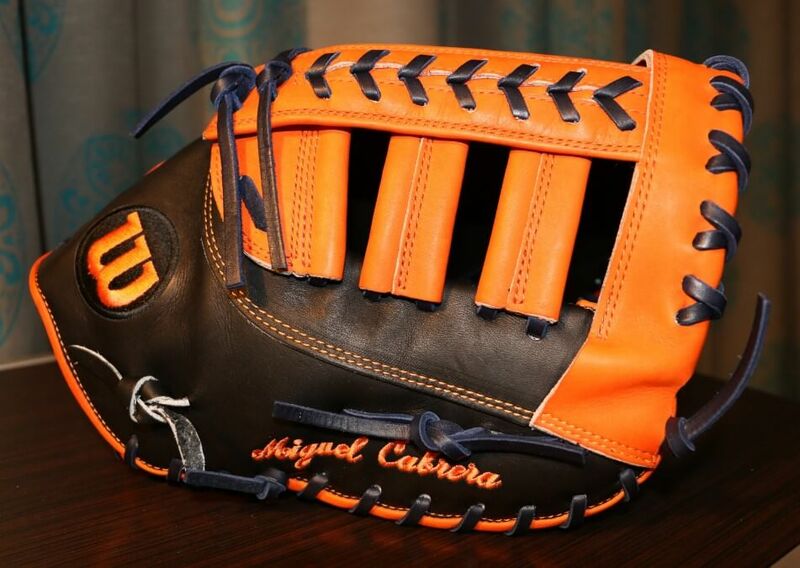 Cabrera even got his own pattern, the MC24, which is 12″ with a laced single post web. You can get the exact glove of the best hitter on the planet at the link. 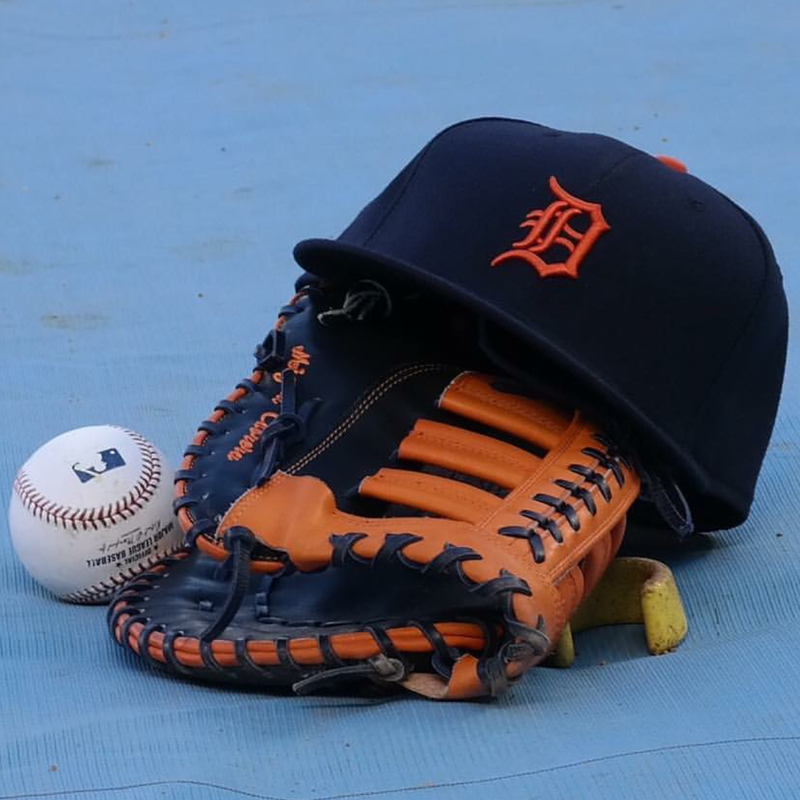 Categories: Gear, Glove, Detroit Tigers, First Base Mitt, Miguel Cabrera, First Base.